Pale lemon in color, with green tints and brilliant clarity. 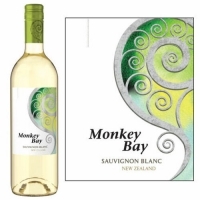 Lifted aromas of gooseberry, bell pepper, and newly mown grass, with some pineapple and melon notes. A fresh, lively, approachable wine with an excellent balance of fruit sweetness and juicy acidity. Vibrant presence on the palate with an exhilarating finish.